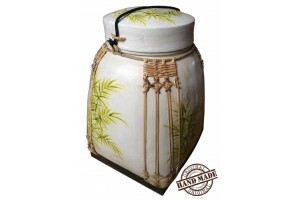 Thai rice basket made of natural bamboo. 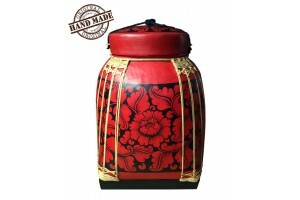 In asian homes this 29x29x45 cm vase is traditionally used to store rice but it also makes a stunning and practical storage basket in any room. Entirely handcrafted and hand-painted. Temporarily out of stock. Thai rice basket made of natural bamboo. 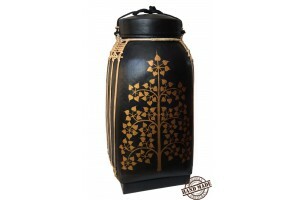 In asian homes this 29x29x60 cm vase is traditionally used to store rice but it also makes a stunning and practical storage basket in any room. Entirely handcrafted and hand-painted. Thai rice basket made of natural bamboo. 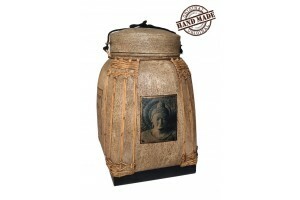 In asian homes this 35x35x52 cm vase is traditionally used to store rice but it also makes a stunning and practical storage basket in any room. Entirely handcrafted and hand-painted. 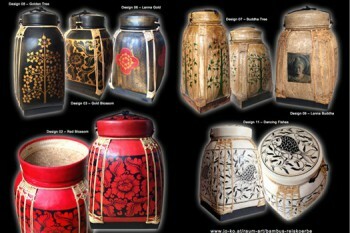 Thai rice basket made of natural bamboo. In asian homes this 50x50x64 cm vase is traditionally used to store rice but it also makes a stunning and practical storage basket in any room. Entirely handcrafted and hand-painted.